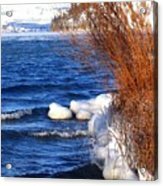 Will I ran across this when searching for "ice" pictures, I'm so glad I did this is wonderful love the colors, the movement of the water, haze mountainous background, it has it all wonderful!!! 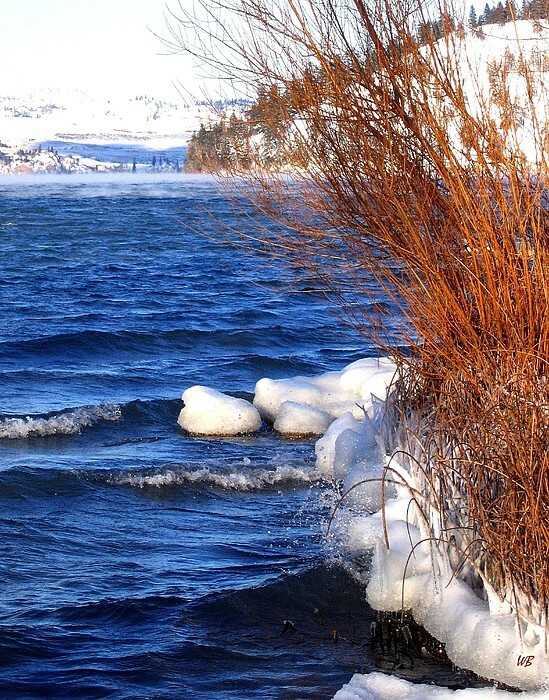 A mist hangs in the distance over Kalamalka Lake as gentle waves lap at the icy shoreline. 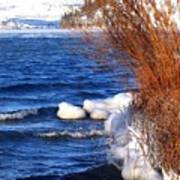 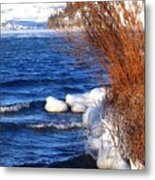 Photo taken in the Lake Country District of the Okanagan Valley in British Columbia, Canada. "Mist On Kalamalka"